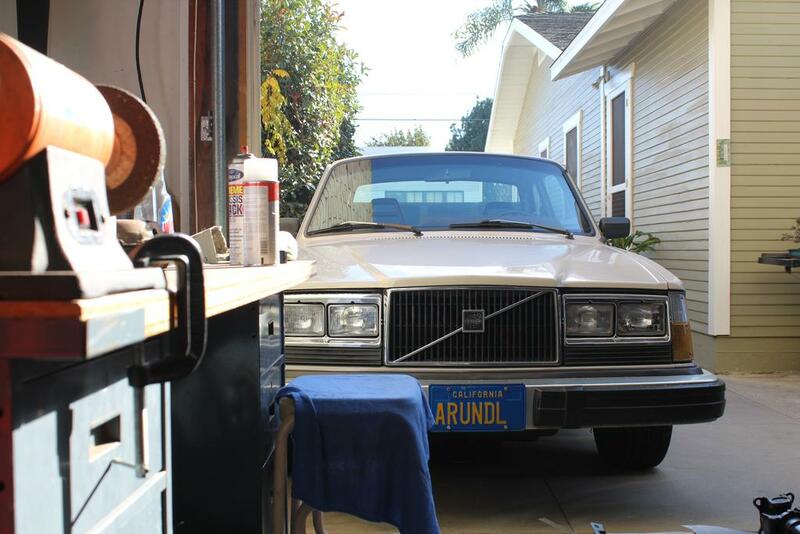 Well, since I've had my Volvo for about 15 months now and have done a fair amount of work on it, I think it's high time for a project thread. Even though the "real" project has yet to begin, I want to maintain this as a log of sorts, to document all the work that has been and will be done. 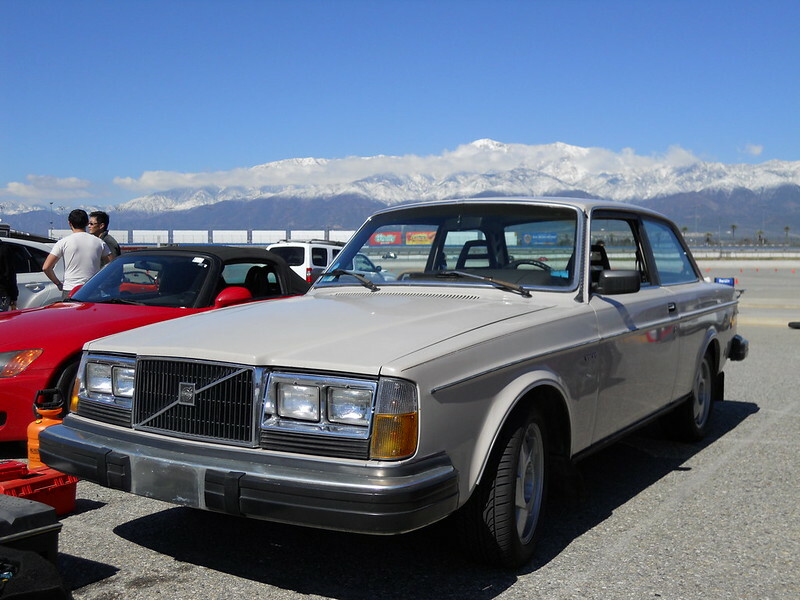 I've always liked Volvos, be they 1800s, Amazons, 140s, 240s...several friends in high school had 240s, one girl even had a green 242! 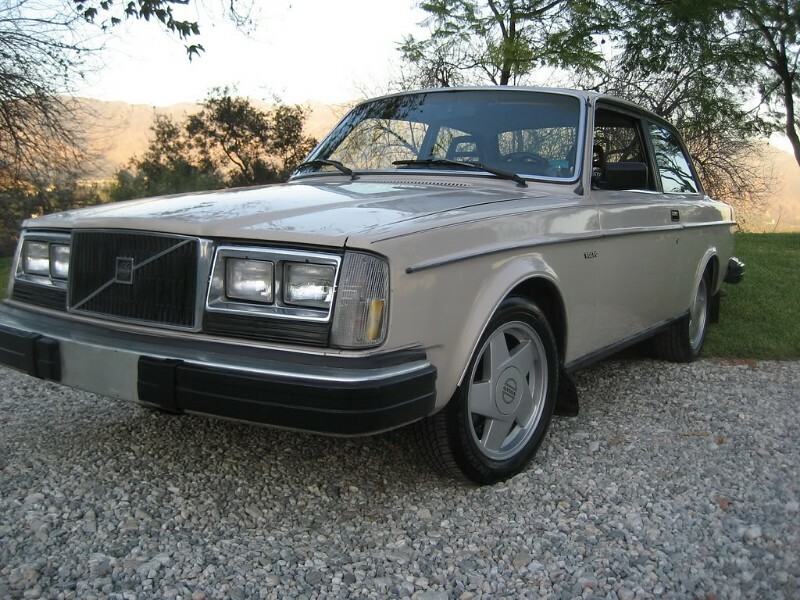 I lived in Berkeley for 4 years during college and saw older Volvos everywhere, all the time, which made me realize that I wanted one someday. 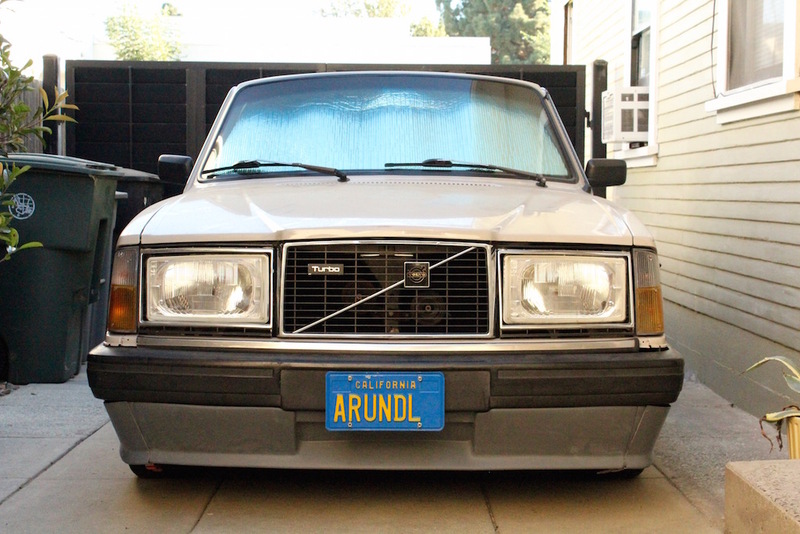 It only took about 5 more years before I gave into the urge (my friends and I used to call it Volvovaginitis). 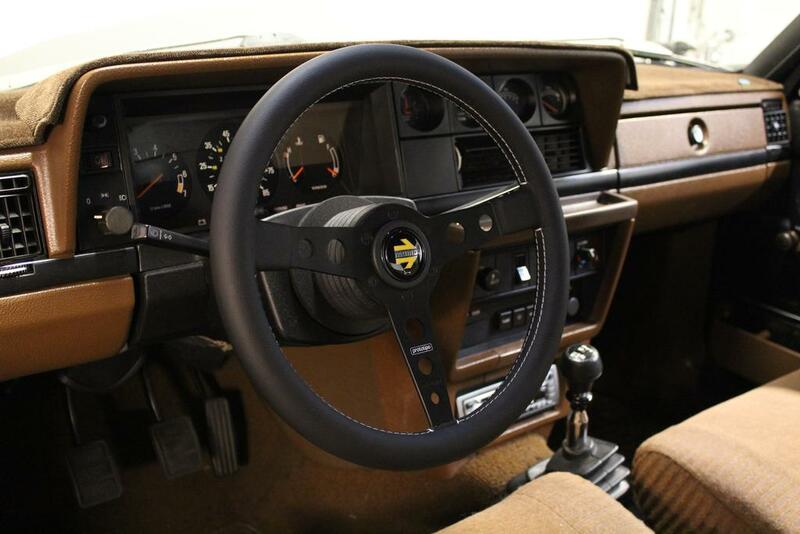 I thought about getting a 142 for a while, but started looking here and on Craigslist for a 242 since they are a) easier to find, b) slightly more modern (steering / suspension) and c) easier to get parts for. 2-door was chosen simply for reduced weight and better looks. I found this CA-native beige DL advertised here, and bought it from a lying scumbag in Pasadena. I'm really only the third owner according to DMV. Here's the wonderful tale of the purchase: http://forums.turbobricks.com/showthread.php?t=204857 I did not buy it for his full asking price. As purchased, it had mis-matched tires with cut up sidewalls (remounted by PO to face inwards so no one would notice ), 4 nice Hydras, a very shaky idle, misfiring under medium to full throttle, torn up drivers seat, busted glovebox door, totally worn out front end, non-working OD, interior spray-bombed black and peeling, dried-desert cracked dash and nasty old floormats with cigarette burns. Somehow that stuff wasn't visible in the for sale pics or mentioned in the ad...hmm... Overall the body was solid with only a few small rust areas that still need to be tended to. And the paint is original and pretty nice with a few minor chips and bumps. I want this to be a nice capable sleeper with no issues. I'm not going for perfection and not expecting to transform it into a new car. It would be fun to dumb-found some BMW douches at stoplights, at trackdays and the like. Not saying that everyone who owns a BMW is a DB, but that's the major trend around here anyways. The 242 is also sort of a "practice" car (a la Meg Griffin) in preparation for building a proper hot rod in the next few years. I want to get more experience with engine tuning, suspension setup, and general car development via testing, before I start building my '32 Ford pickup. For the hot rod the goal is to attain a traditional hot rod aesthetic mixed with capable handling and reliable power. 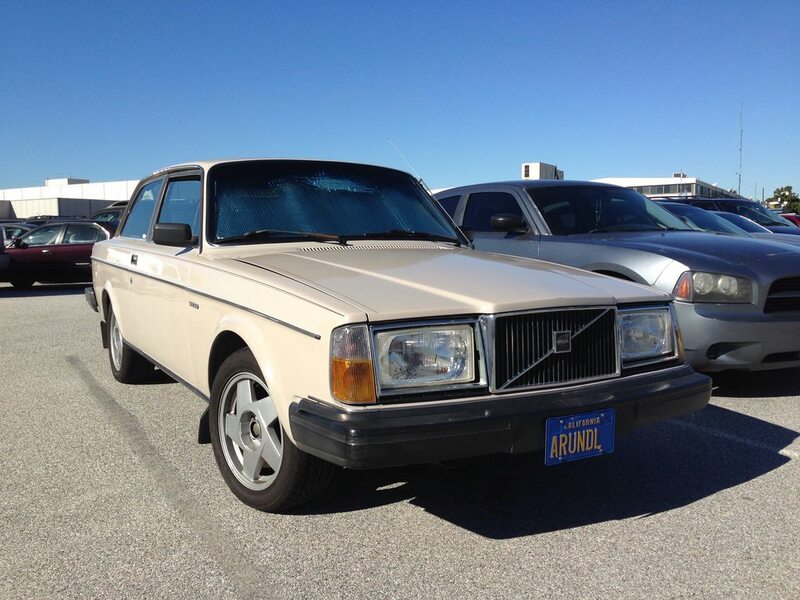 I figured an old Volvo was a good place to start as it's basic, cheap and RWD. Squirter-block B230FT swap and stealth Garrett ball bearing turbo are in the works. Also I'd like to set some real (numerical, quantitative) goals and see how closely I can hit them. I'm looking forward to geeking out over skidpad times, measured g's, 0-60 times, calculated % anti-squat...all that good stuff. In that spirit, I've been working on a goal sheet. It is a work in progress. Boost response / time-to-torque: 1.0 – 2.0 sec? No major NVH sacrifice. Maintain or improve current wind/road noise levels (subjective). Last edited by Duder; 12-03-2017 at 08:17 PM..
7. Will it run smoothly? 11. Still popping out of 3rd gear? Last edited by Duder; 12-30-2017 at 11:56 PM.. I really like how you've got this build thread started. I'm excited to meet you and get nerdy at WM. Nice car! But it's not a "Brun Låda", brun means brown and this car is beige. Thanks, and likewise! The car should make it up there fine now that it's got new tires, new fuel pumps, working OD and runs much better. I'll be adding all the sub-projects I've done so far in the next few days. 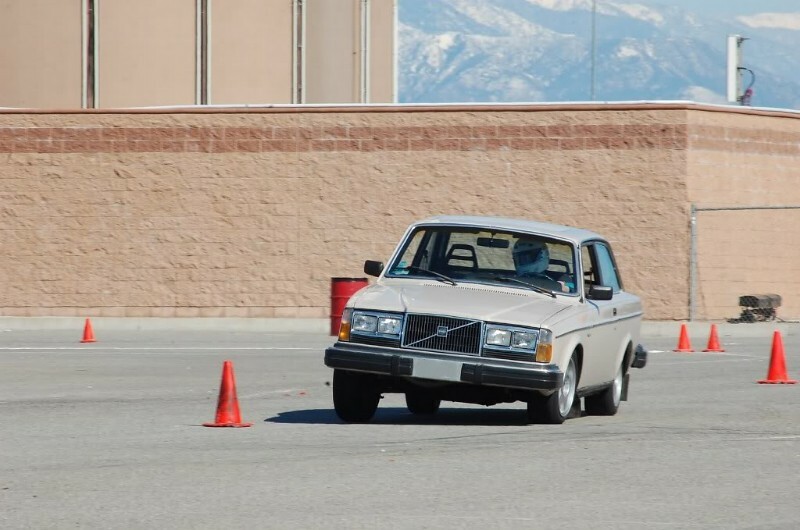 My first autocross (and I assume the 242's also) was this past weekend...it was a fun "baselining" exercise and I decided it's time to start officially setting some goals for the project. Thanks! I know it's not technically "brun" but it sounded better than "Beige Låda" for a name. Google translate told me that beige is the same word in English and Swedish. Is that true? I need to learn some Swedish since my father's side of the family originated there, and came to the US in the 1850's. I'd leave the original hood be - with that paint code it looks great. Flathoods are status quo here anyway imho. I think it looks fine as-is, but I do like the lower-profile look with the quad rectangular lights like the '83 homologation special, and have thought about doing that. If I ever find a nice flathood in my OE paint code then I would make the swap. For now though, it's very low on the priority list so the formal hood stays where it is. I added my current to-do list, with everything done so far crossed off. I'll keep this updated as I complete stuff and add new projects. Hmmm you've crossed off Upgrade #1. So what did you decide on? 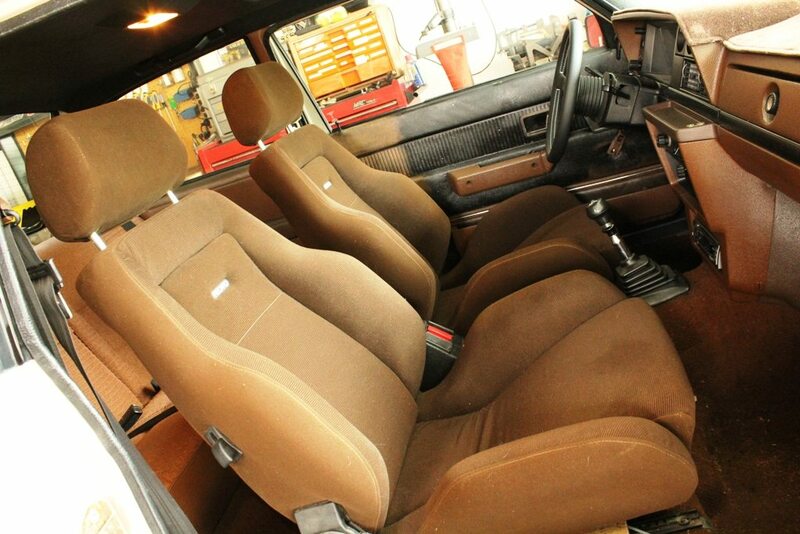 I got a good deal on a complete, 182k-mile '94 B230FT from Roy (2manyturbos) in Oregon. Thanks Roy! He said it ran excellent and sent me some videos of it running before he pulled it from the wrecked 940T. My plan is to do a full smog-legal swap and get it certified as a complete '94 engine with all emissions equipment intact. After that, the tuning begins. And that's what I've decided! Last edited by Duder; 01-25-2013 at 04:37 PM..
Are you going to run LH2.4? I would do a flat flywheel from RSI that has the holes drilled for 2.4 in it. Reason being that people have been having really bad luck with dished 2.4 flywheels exploding. AC & PS are both up in the air, to be honest. The AC compressor and newer-style PS pump came as a package deal with the new engine. The car came with both from the factory, still in the car but currently disabled/disconnected/not working and I'm living with that just fine. I want to lighten and simplify the car as much as possible but on the other hand I need to consider that my soon-to-be wife will be driving the car occasionally and she needs to be reasonably comfortable with it! I still have plenty of time to think it over though. LH2.4 will be running in the first iteration of the swap, to get it BAR smog certified. If a standalone EMS magically appears in the car later on, it won't be obvious, and it will be easy to remove / swap back to LH2.4. Figured. Alden and I (Alden) are going to be making a MS harness using the LH 2.4 one. This. Plus its light. That stupid 2.4 flywheel is uber heavy. Thanks for the tip; I've seen a few of those threads! I can't seem to find that flywheel on RSI's website but I'll keep looking around here for more info, or call them if I get stumped. I'd like to go with something lighter than the stock dished boat anchor. Call them. But if they don't pick, call them 9000 more times. Their customer service is... Actually. I think Ben (WeezilUSA) is working today, so you might have better luck. Ben got a job @ RSI? That's a great looking 242. Yea just a few days a week though. As far as I know. Thanks Roy! The B230FT you shipped to me back in April is still waiting on an engine stand to be joined happily with this beige brick. I'm looking forward to that part of the project but it will have to wait a bit longer still. An engine stand?! Go to harbor freight and pick up the 1000lb one. They've got 'em on sale. Ahhh yea that sentence makes more sense the second time around.